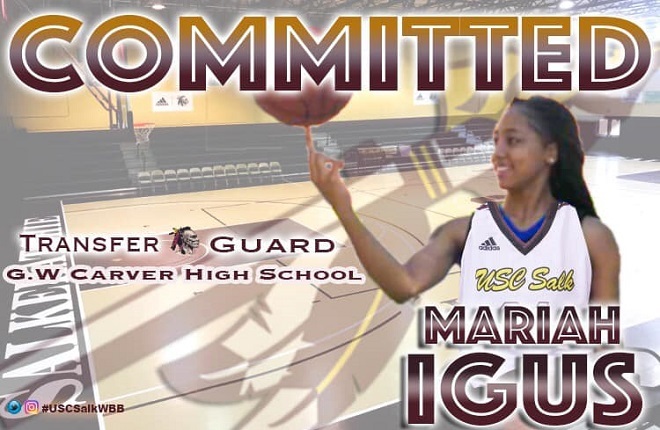 Mariah Igus is a Transfer Guard from St Pete College (FL), where she averaged 20 points per game. Expect her to make an immediate impact this year in Region X!!! Welcome to the USC Salkehatchie athletic family Mariah!